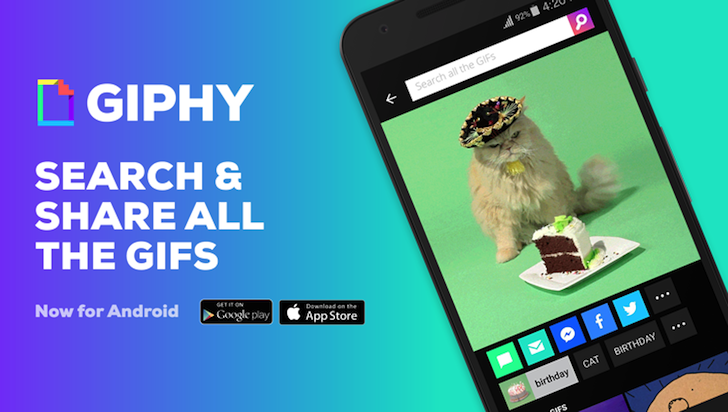 Giphy released its official Android app in April of last year, but it had one caveat. You couldn't easily save the GIFs to your device (there were workarounds, but not ones regular users would know), you could only share them to other apps. 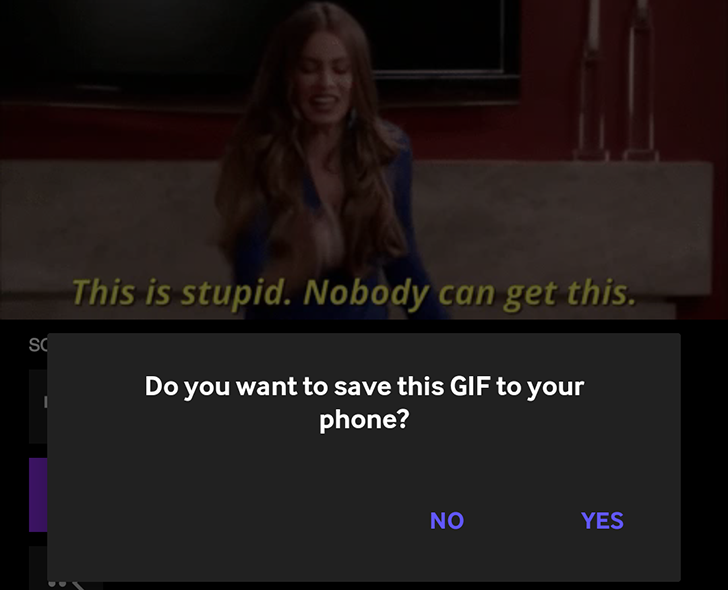 This meant you had to know where exactly you wanted to use that GIF in order to benefit most from the app and you couldn't just browse, grab any GIFs you like, and keep them on the off-chance you'll need them later. WhatsApp's ability to send GIFs in different forms and ways has been rolling out super slowly. 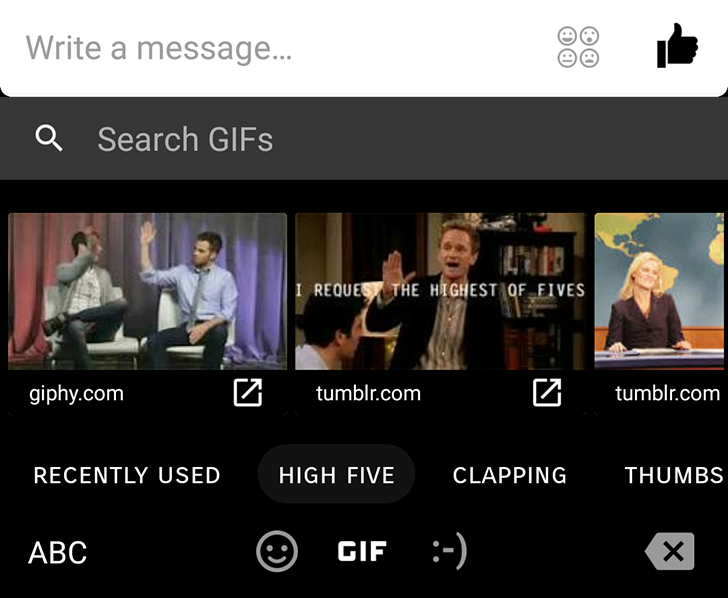 First we could convert videos and share them as GIFs, then the beta app let us share GIFs saved on our devices, then the Web client added support for GIF search and insertion, and now finally the last piece of the puzzle is here: we can now search for, choose, and send GIFs from the WhatsApp app on our Android phones, no need for a separate Giphy client, the GBoard app, or to have the GIFs saved on our phones beforehand. Giphy is one of the most popular repositories of GIFs on the web, and the site has published their newest app to the Play Store - Giphy Cam. The application allows you to either record video from your camera, or shoot five images in burst mode. Once your content is recorded, you can apply all the effects and stickers your heart desires. 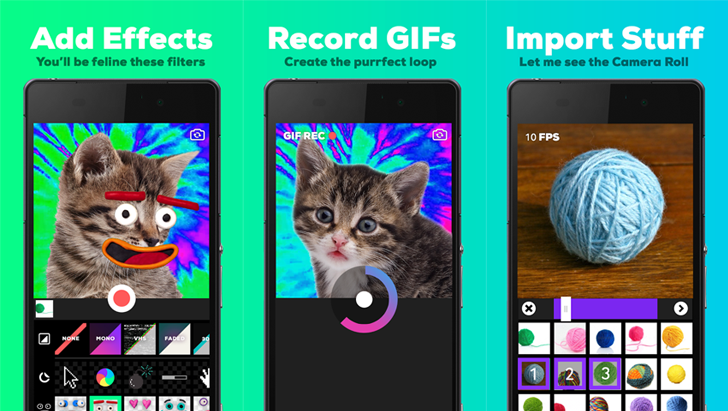 The app description states that Giphy plans to add new filters weekly, "to help you keep your GIF game on point." GIFs are great. We all love moving pictures, amirite? It's like being at Hogwarts or something. 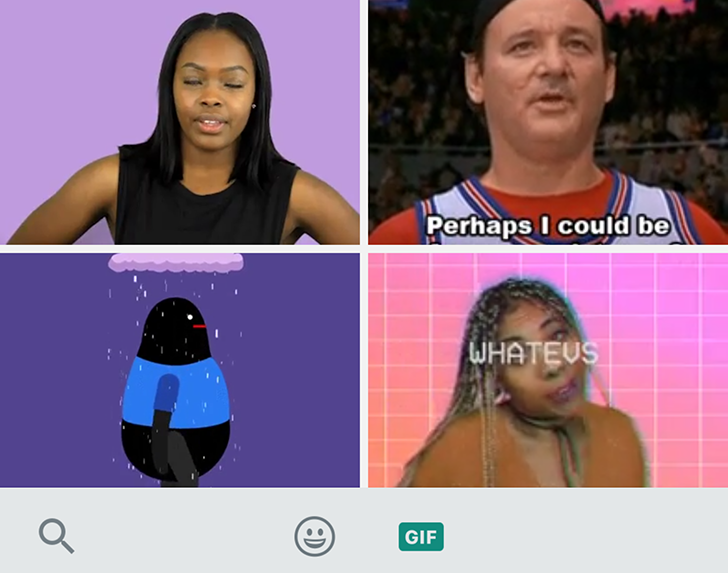 Giphy, a leader in the 'shareable GIFs' space, has an Android app, but unfortunately it doesn't allow for GIFs to be used anywhere on your phone or tablet. That's where Plughy comes in. Alright so this post is for Artem but also for those of you who share with him this excessive love of gifs and animated image thingies.